LITTLE FOLLIES comprises nine novellas. The novellas are also available individually. See the column at right. We are all obliged, if we are to make reality endurable, to nurse a few little follies in ourselves. From “My Mother Takes a Tumble"
WITHIN A FAMILY, some events that an outsider might consider important are allowed to pass almost unnoticed and are soon forgotten; yet others, which seem trivial to the world at large, may be elevated to positions of such eminence that they acquire the status of milestones. In my family, for example, no one remembers my birthday, but they all remember the day my mother tumbled from her lawn chair. It is comforting, when one feels a bit “lost,” to be able to put one’s feet up, close one’s eyes, and look back, as it were, along the road that one followed from wherever one once was to wherever one may be now, to “retrace one’s steps,” and find, along that roadside, familiar milestones. It is certainly comforting for me; for if I am feeling a bit “lost,” when I begin such a backward ramble, I am often lost during it as well, wandering on someone else’s road, or backing out of a cul-de-sac, and it is always a great relief to come upon one of these milestones, or, if you prefer, landmarks. It is a particularly great relief if I stumble upon the milestone that marks the day that, for the rest of my family, came to be known as “The Day Ella Tumbled from Her Lawn Chair” and is, on the map of my childhood memory, labeled “The Day I Was Chasing Kittens,” for it is from that day that I date all the rest. “DO CLAMS BITE?” began as a single brief anecdote, the account of my first attempt to dig clams. Briefly, here’s how it goes. As soon as I was old enough to keep my chin above water in the clam flats of Bolotomy Bay, my big grandfather, my father’s father, took me clamming with him. He was a casual clammer who usually wanted only a few clams for dinner. He “treaded” for clams, walking around in the flats and feeling for the clams with his toes. He walked with a jerky, shuffling step, pushing against the bottom with the balls of his feet. When he felt a clam, he would duck beneath the surface and scoop it out of the sand. He’d bring it up and drop it into the front of his snug wool bathing suit. I watched him go through this routine, filling the front of his bathing suit, then waddling to the boat, his suit distended and lumpy, dumping his catch on the deck and going right back to the hunt. I saw at once that imitating this procedure successfully had something to do with being or becoming a man, but I thought there was a pretty high risk of being unmanned too. I wanted to ask Grandfather, “Do clams bite?” but I knew that if I asked, he would look at me with his smart gray eyes and know at once why I was asking, and that I’d be embarrassed, so I didn’t ask, and instead each time I found a clam I pretended that it squirmed out of my grasp before I could get it into my suit. I had been using this little story effectively at dinner tables for quite a few years. Sentimentalists could release a wistful sigh or two for the innocent little Peter in it, and intellectuals could ride the castration theme for a couple of hours. One evening, early in the telling, just after I had introduced Big Grandfather and Big Grandmother, my father’s large and sturdy parents, the realization struck me that over the years, as I had told the story I had distorted the events and characters beyond recognition. It was time, I thought, to strip away the baloney and get down to the truth. The result of my effort to tell it without embellishment, just as it happened, begins in a few pages, but before we get to it I would like to give you an idea of how I went about reconstructing the incident and to point out one or two facts that I may have made up. It has often seemed to us that life, in several respects at any rate, is much like a river. I KNOW THAT many people agree with the Christensen sisters, but it has always seemed to me that life, in several respects at any rate, is more like clam chowder. My development of the exposition of this notion reached its zenith one evening not long ago when I was chatting with Porky White, the entrepreneur responsible for the Kap’n Klam chain of bivalve-shaped fast-food huts, and Congo Red, the bartender at Corinne’s Fabulous Fruits of the Sea. A surprising snowstorm had struck Babbington in the morning, and Red was complaining about how long the trip from Hargrove to Babbington had taken on the Hargrove-to-Babbington bus. Porky and Red collapsed into phlegmy, racking laughter. I thought about what Porky had said. They stopped laughing and regarded me with some curiosity. “Oh, yeah, I forgot about that,” admitted Porky. Red and I enjoyed a little snickering at Porky’s expense. “Amen,” said Porky, and I knew that he was convinced. And yet, the Christensen sisters and all the people who agree with them may be right. I will admit that part of my life, my youth, has had at least a geographic resemblance to the course of the Bolotomy River. The Bolotomy flows from a spring-fed pond several miles north of Babbington. This pond is at the heart of the Mayor Harvey (“Heavy Harv”) McGee Memorial Park. At the center of the pond is a tiny wooded island where, I believe, I was, on a January night, during a skating party, just beyond the light and warmth of a bonfire, conceived. In its early stretches, the Bolotomy is narrow and shallow, barely a stream, but at one point, suddenly and surprisingly, the river broadens and deepens, and for a short stretch it is an idyllic swimming spot. When I was a boy, I often rode my bicycle to this spot from my parents’ house. There the water was pellucid and cold, the bottom was covered with small rounded stones, and the bank on one side was flat and grassy. This spot was supposed to be a secret. I was taught its location by a neighbor, an older boy who later broke my foot for me by jumping on it. To reach the swimming spot, one rode or walked along a well-used trail to a certain place where the sides of the trail seemed to be closed by impenetrable bushes; then one stopped as if to tie a shoe, looked over one’s shoulder and, if no one was in sight, parted one pair of bushes carefully to open the way to another trail, a narrow, damp one that led to the secret spot. From time to time, the spot would be violated by older boys and girls, who smoked and drank and frightened the rest of us, and once a family arrived and spread out a blanket and ate a picnic lunch, but most of the time children my age were the only swimmers. 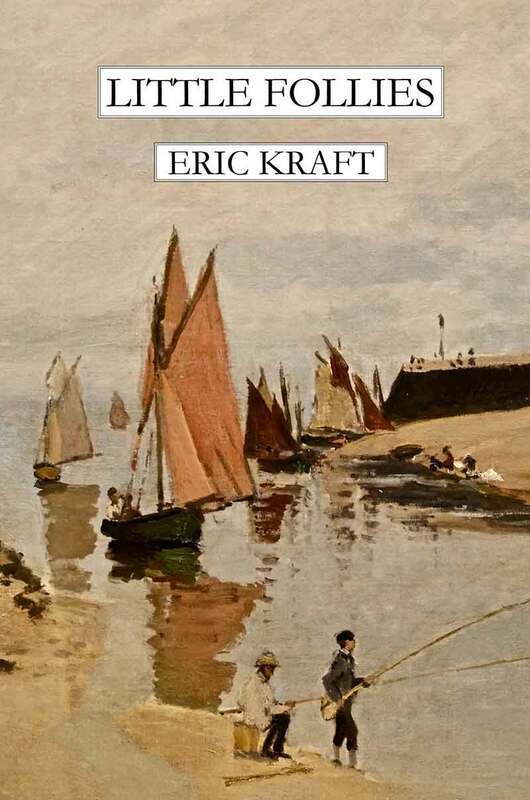 Later, as a boy, and even more as a young man, I spent a lot of time along the estuarial stretch of the Bolotomy, learning things, talking, working, and wondering about the world outside Babbington. And now, as I write this, some time after youth, I’m on an island in Bolotomy Bay, surrounded by the river’s water, though by the time it reaches this island the river water is no longer part of the river. From where I work, I can look back across the bay and a little way up the Bolotomy, back toward my beginnings. I began planning “Life on the Bolotomy” while I was sitting where I am sitting now, looking across the bay and up the river. I remembered that I had wanted, as a boy, to travel the length of the river and see what I could see. It would have been a perfect trip for Raskol and me. I was taken at once with the idea of making the trip now, of traveling up the river to find out where it began, how it became what it was. If I were to make such a journey, I thought, I would need a boat, a specialized boat, one that could navigate the narrow upper reaches. I began sketching such a boat at once. AT HOME, in my parents’ house in Babbington Heights, in the corner of the attic that was my bedroom, I had, on a table beside my bed, a small Philco radio. It was made of cream-colored plastic. The radio had seen years of use on somebody else’s bedside table before I got it for my room. Over the years, the heat from the bulb that lighted its dial had discolored and cracked the plastic in a spot along the rounded edge of the top, right above the dial. On winter nights, when the attic was cold, I would bring the radio close to me, onto the bed, under the covers, and rest one hand on the warm, discolored spot while I listened. Of all the programs that I listened to on that radio, I can remember only one clearly: one about a boy about my age who lost everyone who was dear to him—his mother and father and grandparents and a clever younger sister with a voice like a flute—in a shipwreck, and was left alone, entirely alone, on an island somewhere warm and wet and windy, and called out for them in the night, calling against the persistent, overpowering sound of the wind and the sea, and listened in despair for the sound of their voices through the crashing surf and howling wind. I huddled in my bed, with the blankets pulled over my head, and trembled when the sound of his voice and the wind filled the little cave that I had made. This program so terrified me that I wanted to cry out for my own parents, to run downstairs for some comfort from them, at least to reassure myself that they were still there, but I couldn’t run to them because I was listening to the radio at a time of night when my mother didn’t allow me to listen, since the programs that were broadcast at those late hours were, she had told me often enough, the sort of thing that scared the wits out of young boys. Though I remember only that one program, I can remember as clearly as a memorized poem or a popular song the susurrous and crackling static that accompanied everything I heard on the little radio. Over the course of time, this insistent sound has pushed its way from the background of my radio memories to the foreground, and the private detectives, shipwrecked travelers, cowboys, bandleaders, and comedians who once were able to shout over it now call out only faintly and indecipherably, like voices calling against the roaring of the sea and the wind. Order a copy of one of the Babbington Press editions from Lulu.com. Order individual novellas in paperback from Lulu.com. Visit pages for individual novellas on this site. Return to the Little Follies main page. Join the Little Follies of Bolotomy Bay. LITTLE FOLLIES comprises nine novellas. The novellas are also available as individual paperbacks.